Ciao royals, today’s “lesson” is about Octobers significance as Bullying Prevention Month. In America, October is National Bullying Prevention Month. -REPEATED: Bullying is a PATTERN of behaviors. 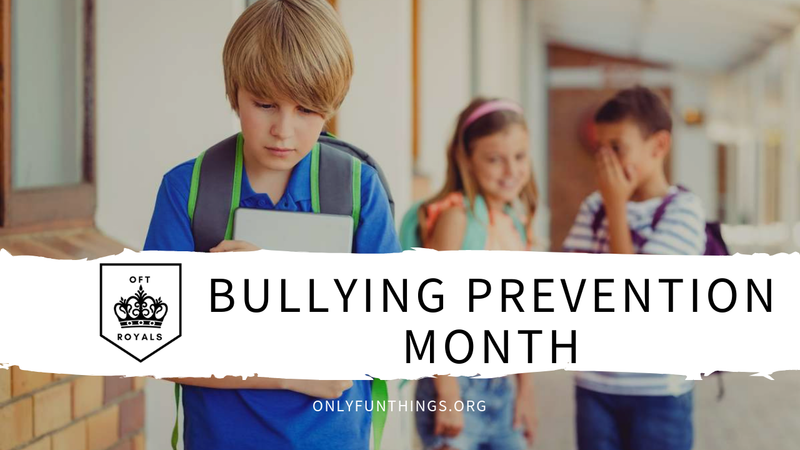 Bullying is a repeated behavior/series of behaviors. -UNWANTED: The target of the bullying does not want the behaviors of the bully to be occurring. MYTH: It is always physical. FACT: Bullying can be repeated physical altercations, verbal abuse, emotional abuse, or slander/gossip. MYTH: It only happens to children. FACT: Adults can also be bullied by other adults. MYTH: It only happens in schools. FACT: Bullying can happen anywhere, even in a workplace. -If you are a minor, tell a trusted adult, like a teacher, school faculty member, parent, or guardian. -If you are an adult, try to talk to the bully and tell them that what they are doing is inappropriate and unprofessional. -If you are an adult, and the situation has escalated beyond calm conversation, bring the issue to someone like management, Human Resources, or a supervisor. -If the bullying is occurring in an online setting, block the bully/report their hateful comments/posts. -If you are a blogger/writer/content creator and you are receiving anon hate, turn off the anon comment privileges on your site. -Be their friend, and support them through the bullying. -Encourage them to tell someone who can help, like a teacher/supervisor. -Don’t let others talk badly about them around you. Gossip can be stopped by someone who tells the truth. Remember that you are amazing and wonderful just as you are. Don’t let this world change your beautiful spirit.